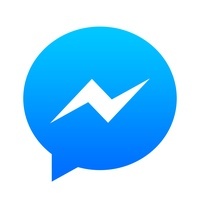 Facebook Messenger has 5 alternatives which are listed below. WhatsApp Messenger is available for iPhone, BlackBerry, Android, Windows Phone and Nokia and yes, those phones can all message each other! Because WhatsApp Messenger uses the same internet data plan that you use for email and web browsing, there is no cost to message and stay in touch with your friends. WhatsApp Messenger is a proprietary, crossplatform instant messaging subscription service for smartphones and selected feature phones that uses the internet for communication. In addition to text messaging, users can send each other images, video, and audio media messages as well as their location using integrated mapping features. 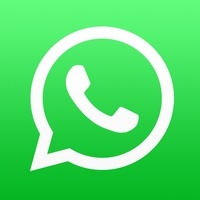 Read more about WhatsApp as an alternative for Facebook Messenger. Find all your friends and family in an instant - With over 300 million people using Skype, you’re bound to bump into someone you know. Talk with your fingers - No matter where you are, your friends are always available with free messaging. Call your world from Skype - Free voice and video calls let you talk to your heart’s content with all your friends and family on Skype. Low cost calls to mobiles and landlines too - Keep in touch, even if they’re not on Skype, with low cost calls to mobiles and landlines on the other side of town or the world. Share your favorite snaps - Take a great photo you want to share? 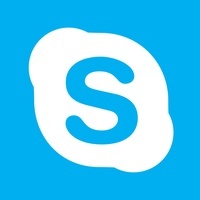 Send it over Skype to friends and family and you won’t have to worry about email size limits or expensive MMS charges. Chat with anyone, anywhere - Skype’s available on smartphones, tablets, Macs, PCs, and even TVs. Whatever your friends or family use, Skype is there. Simple. Read more about Skype as an alternative for Facebook Messenger. 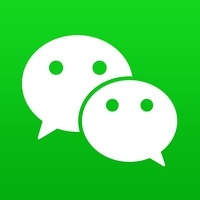 WeChat is a free messaging & calling app that allows you to easily connect with family & friends across countries. It’s the allinone communications app for free text voice & video calls, moments, photo sharing, and games. Free texting, voice messages, and video calls in your pocket. 300 million people love WeChat because it's fast, reliable, private, and always on. WeChat works over your phone's existing data plan or any WiFi connection. Read more about WeChat as an alternative for Facebook Messenger. Enjoy fast and fun mobile conversation! Snap a photo or a video, add a caption, and send it to a friend. They’ll view it, laugh, and then the Snap disappears from the screen unless they take a screenshot! You can also add a Snap to your Story with one tap to share your day with all of your friends. The best conversations happen when both friends are present, so we’ll let you know if your friend is Here in your Chat so that you can give each other your full attention. And if you're both Here, simply press and hold to share live video and Chat facetoface! 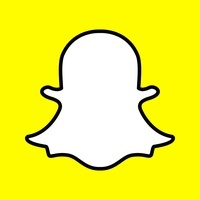 Read more about Snapchat as an alternative for Facebook Messenger. 185 million people love Kik! Only Kik lets you connect with all your friends, no matter how you meet them at school, on your favorite social app, or in an online game. Just ask them “What’s your Kik?” Whether you’re into games, music, celebrity news, or just chatting, Kik is the place to hang out! 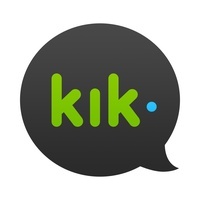 Read more about Kik as an alternative for Facebook Messenger.